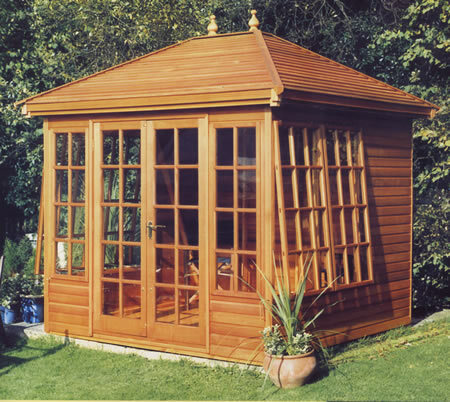 A summerhouse with a felt roof, leaded windows and doors as standard. Traditional Standard pent shed 8'x6' (2.44x1.83m) a useful sturdy stoarge solution for your garden. 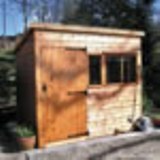 Kensington multi purpose storage shed measuring 223.5x91.5x86.5cm. Ideal for storing patio umbrellas, large cushions and recycling bins. A 12mm T&G traditional pent storage shed 10'x8' (3.00x2.40m) with 3 fixed windows and single door. Ideal for all garden essentials.